Police said employees and customers managed to subdue the woman and contact police, when she pulled a "large knife" out from under her clothing. The woman was restrained and police said the knife was "pried out of her hand" with the help of another store employee. The employee sustained non-life threatening injuries and was treated at the scene. "I meant to harm those people," Rehab Dughmosh told Justice Kimberley Crosbie through an Arabic interpreter during a court appearance. "I reject all counsel here. I only believe in Islamic Sharia law. I would like to revoke my Canadian citizenship that I received. I don't want to have any allegiance to you... If you release me, I'm going to commit this type of action again and again because I'm pledging allegiance to [IS leader] Abu Bakr al-Baghdadi," she said, adding she refuses to adhere to Canadian law. 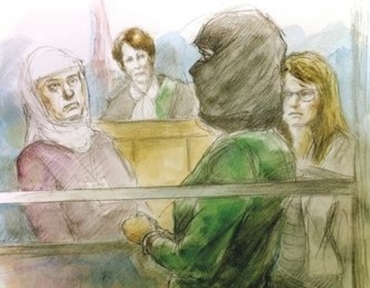 Asking the accused to think about it, Justice Kimberley Crosbie would not immediately accept her attempt to plead guilty to the alleged ISIS-inspired attack that saw two people assaulted. They are working on the belief she was born in Syria but before Canada they are looking into leads of a possible stop in Jordan... She does have status in Canada but it's still not clear if she has Canadian citizenship or has the belief that permanent resident status is one and the same. If she is a Canadian citizen it would be next to impossible to deport her. If she has a temporary or permanent residence status, there is a process. "I'll give you the quote so that you guys can jot it down and put it in an attack ad somewhere that the Liberal Party believes that terrorists should get to keep their Canadian citizenship," he said. "Because I do. And I'm willing to take on anyone who disagrees with that." It comes to something when a golf-club-wielding Arabic-cursing body-bagged jihadist crone unable to speak the language of "her" country and attacking patrons of a suburban shopping mall in furtherance of the global caliphate nevertheless has a better grasp of citizenship than a western prime minister. But, alas, such is the case. Citizenship is not conditional on "good behaviour", but it is conditional on what Rehab Dughmosh calls "allegiance". In traditional ethnostates such as, say, Denmark, that didn't used to be a big deal: your family had been Danish for a thousand years, you felt Danish, you lived Danish, so naturally your allegiance was to Denmark - "naturally" as in it's so natural you don't even think about it. That's why we call adopting citizenship "naturalization" - because, by the end of it, it's supposed to feel natural. Naturalization requires a transfer of allegiance, which is why in Canada you take an oath to the Queen and in America, just to underline the point, you're also called upon to "absolutely and entirely renounce and abjure all allegiance and fidelity to any foreign prince, potentate, state, or sovereignty, of whom or which I have heretofore been a subject or citizen". 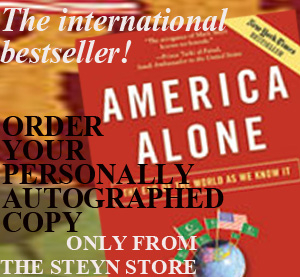 Mark Steyn: When you've got second- and third- generation Belgians and Frenchmen and Germans and Britons and Canadians going off to join ISIS, blowing up Paris, blowing up Brussels, that ought to occasion a certain modesty among us that our skills at assimilation, at inculcating our values, are not as awesome and all-encompassing as they were in the nineteenth century. And to think, when second- and third-generation immigrants are blowing up the airport, that the answer is suddenly to accelerate immigration from the same source, is very bizarre. In what sense are these people Belgian? Simon Schama: Well, you know, in what sense is Razia Iqbal British? She's fully British, right..? And she happens to be a British Muslim, right? And how more British can you get than doing the BBC World Service? 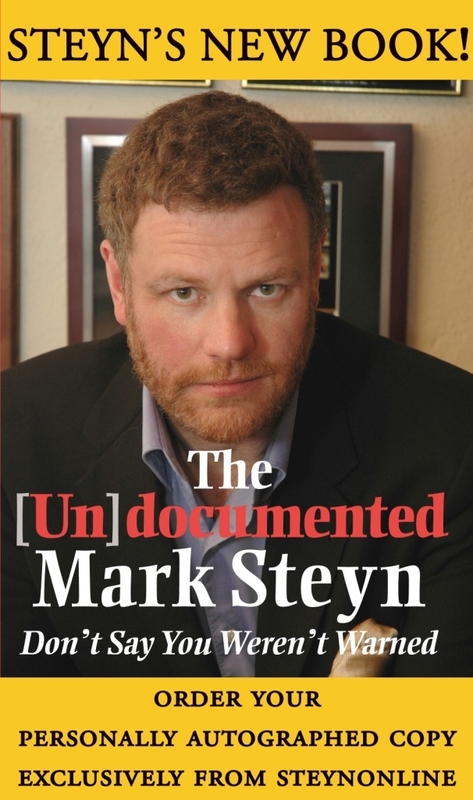 Mark Steyn: Yes. I worked with Zeinab Badawi at Channel 4 in Britain. I've got no problem with that. But that's my point: Holding a passport does not make you Canadian and does not make you Belgian and does not make you French. Louise Arbour: And by the way, Mark, if you have a Canadian passport you're a Canadian citizen. There's no arguing with that, right? Mme Arbour is a former Supreme Court justice but she's missing my point: a Canadian passport may make you a Canadian citizen, as a point of law, but it does not make you a Canadian, as an actual, living, breathing reality. Body-bagged from head to toe, speaking neither English nor French, Rehab Dughmosh has renounced her allegiance to Canada and proclaimed instead her allegiance to the Islamic State, which happens to be Canada's enemy, which in the pre-Arbour era would be what we quaintly call "treason". Why does Mme Arbour presume to know better than Ms Dughmosh about where the latter's allegiance lies? A few days ago, a sniper with Canada's special forces broke the world record for longest confirmed kill, picking off a Soldier of Allah at 3,450 meters - which is over two miles. That's phenomenal and unprecedented, and the JTF2 guy who did it deserves all the honours the Canadian state can confer on him. On this 150th birthday I only hope we can continue to produce more men like that. But what's the point if, for every ISIS barbarian you pick off at 3,450 meters, back on the home front you're importing hundreds and thousands of loons who support him and share his world view, day in, day out. There are more "British Muslims" fighting for al-Baghdadi than for the Queen. Thousands more: they feel their allegiance to the Caliphate in a way that they do not for Britain. Likewise with Rehab Dughmosh: she feels her allegiance to ISIS, and not for Canada. Never did. Pace the socks symbol Trudeau, making citizenship conditional on "good behaviour" - ie, non-treason - does not "devalue citizenship for everyone". Tolerating ISIS fighters holding UK and Canadian and Belgian citizenship is what "devalues citizenship for everyone". Rehab Dughmosh's Canadian citizenship devalues that JTF2 sniper's Canadian citizenship. That's true in the broader sense, too. Ms Dughmosh and those "British" ISIS volunteers feel their true allegiance; they live and breathe it. If you accept them, as Mme Arbour does, as Canadian and UK and French and Swedish citizens, "no arguing with that", you devalue your own citizenship to the point where its purchase on you starts to weaken and dissolve. I look at the feeble, passive reactions to jihadist provocations in Manchester and London and Paris and Brussels, and wonder: how many of the west's citizens feel British or French or Belgian? It's the shrunken reductive definition of "citizenship" advanced by the likes of Trudeau that devalues it - and (a somber thought for this 150th Dominion Day) perhaps fatally. 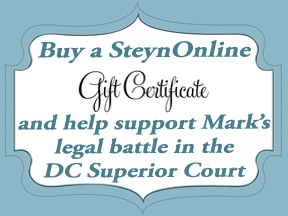 ~Today, Wednesday, Mark will be back with Tucker Carlson live on Fox News at 8pm Eastern/5pm Pacific. If you're near the receiving apparatus, we hope you'll dial him up. 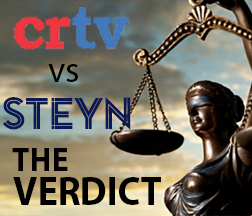 And don't forget, he'll be back on camera later this week to answer questions from Mark Steyn Club members. It's not too late to shoot him your query! One of the other benefits of membership in the Club is that you can take issue with him in the comments section. 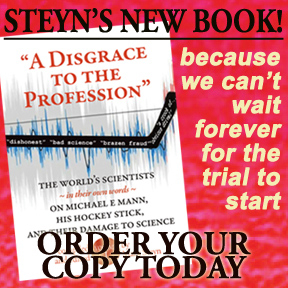 Founding Member Chuckie does so here, vigorously denouncing Steyn for wasting his time. So have at it below. 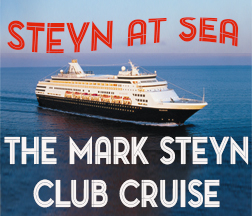 You can find more details on The Mark Steyn Club here. Well unlike all you lot, I'm lucky in that I live near Byron Bay. It's very international AND multicultural Dont'cha know! And I can tell you right now, ( I'm proud fifth generation Australian) barely any of these 'internationalistas' identify as Australian..the Israelis god bless them they thick on the ground here. There is no way they would give up their dual citizenship.. Check out the courtroom drawing. The crone is wearing a full face covering, sitting in court. What are the witnesses supposed to say? "I recognize the crusted humus stain on the left lower corner of the face covering. That's definitely her, Your Honour." Unbelievable she's allowed to cover her face in Canadian court for a criminal proceeding. "Justice Kimberley Crosbie would not immediately accept her attempt to plead guilty to the alleged ISIS-inspired attack". I'm reminded of that time a few years ago when "an Australian man" took a bunch of people hostage in the Lindt chocolate cafe in Martin Place. Here was a guy who pledged allegiance to the Muslim Caliphate, wore a black Isis-style headband, repeatedly told the hostages and the hostage negotiators that he was a member of Isis, and even forced the hostages to hold a black Islamic flag against the store window, and still the media refused to label him a terrorist to the point where he became extremely frustrated at not being properly identified. Even to this day, there are still serious people who question whether he was a terrorist at all and insist that the man was simply a deranged, attention-seeking idiot. Sandy is absolutely right. What do these terrorists have to do for us to take them at their word? Even when it is spelled out for us in black and white, literally as in both Sydney and Scarborough, we still can't bring ourselves to see what is right in front of our eyes. Well funnily enough that bloke was indeed just a deranged loose looney. He kinda exemplified the age of pretence we live in. He was actually Shia ( who of course are sworn enemies of the sunnis). 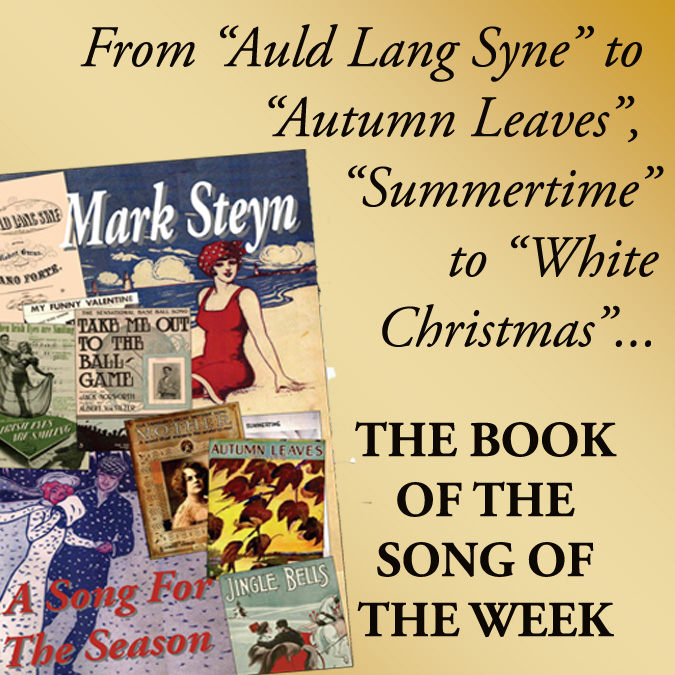 He had no allegiance to DEASH except the pantomime show he put on in the cafe. Indeed, Just like the senior army general over here who was a man but is now a woman. (Don't question it or I'll report you!!). He playing as well. The infantilisation of our culture grinds inexorably forward. One of the most frustrating things happening in these times we live is the willful blindness. The woman confesses, admits her intention to commit more criminal acts if released and goes so far as to renounce Canada and swear allegiance to ISIS. The response is to let her think on it......yes, of course, she was probably just having a bad day and will feel better tomorrow. Unfortunately this response from police, judges and politicians is the norm. I just don't get it. They all just understand things better than all of us. Surely, this person is being deprived of her human rights! This seems to be one instance where (most people would surely agree) the excuse of 'human rights' should be deservedly applied. She ought to be expressly removed from your country and allowed to return to her place of allegiance. Maybe all the 'Lefties' around the world would then congratulate Canada for upholding her human rights. Tsk! Tsk! She found a way out of a lifelong trap - a jail sentence in Canada will be freedom next to a sharia enforced home. Crazy like a fox I say! A question for the Q & A, Do you think Hugh Hefner would have let the current Whitehouse Correspondent who sparred with Sarah Huckabee Sanders the other day attend one of his parties? He seemed a bit unkempt. Canada, the great Northern Nebulousness. Outside of Quebec, there seems nothing to Canadian identity except the fact that 'we're not American - thank God', and allegiance to a crappy single payer health care system, which the wealthy routinely bypass to go to the USA, but which the average Canadian shlub will defend to the death (which, judging by waiting lists for radiation therapy, chemotherapy, and cardiac interventions, can't be too far off). 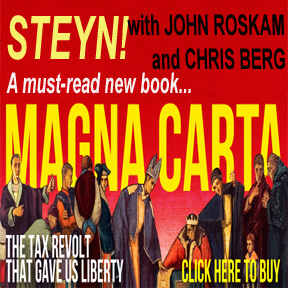 Steynis correct that virtue signalling often masks a desire for cheap labor ( and exotic restaurants and hot asian chicks, I would add). But lets be honest - that formula stopped working when the incoming started becoming increasingly Muslim. Will there come a turning point when the fashionable start finding virtue signalling-compatible reasons to oppose unrestricted muslim immigration? Doubtful. Immigration of late has filled the port side of the Canadian boat, and it seems it will tip over before it rights itself. Need proof? Look at Justin Trudeau. It boggles the mind that the Canadian electorate put him in at 24 Sussex. And Canadians have not yet woken up to the fact that their media is as hopelessly nonobjective as CNN on a bad day. Peter Mansbridge 'c--k holstering' (never heard the term before Colbert, but it fits) the Tragically Hip's terminally ill front man on national television, prime time - forcing everyone to wallow in leftist pieties lest they feel they're callous towards the dying man - everyone too timid to criticize the coercive exercise. Indeed, I would say timidity is the defining Canadian characteristic. Everyone is just too housebroken or neutered to stand up and say enough - stop. But the herd is strong enough to bellow "We're not American!" The timidity can be a sham, however, and hide something darker - its easier to look the other way when you can get away with it. Canadian freighters left Vietnamese boat people bobbing in their wake for a full two years after Israel, of all countries, became the first to pluck them from the sea and bring them to safety. And lets not forget the 'none is too many' formulation to restrict pre war immigration into Canada, that resulted in hundreds of thousands that could have been saved, dying at the hands of the Germans. What does this have to do with the immigrant body bagged 'golf pro' trying to knock the heads off of other shoppers? 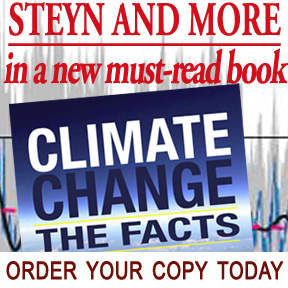 I can't draw a straight line in less than 1000 words (no doubt Steyn and the other readers here can) - but they are related. Due to the sensitive and/or legal subject matter of some of the content on globalnews.ca, we reserve the ability to disable comments from time to time." That's an excellent post Stowe-man. Witty and insightful. Thanks. 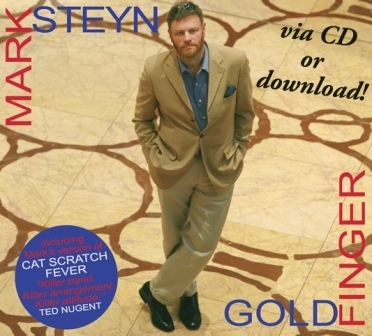 Everything I know about true wit I learned from Mark Steyn. God's truth. The unpleasant truth is that many of the broad minded among us in the west make their allegiance to "the world" rather than to the nation they're living in, not realizing that much of the world has a dangerously different view. I'd say Justice Kimberley Crosbie is either totally indoctrinated or sufficiently frightened that she prefers to pretend she is engaging in serious investigation and deep thought by turning over all the stones around the only one that matters - the one that stares her in the face and screams: me, me. In their tiny little minds, they expect to see the establishment of a world government with universal citizenship of the one world state for everybody. 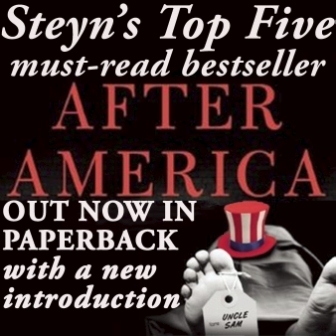 I don't always get Steyn's literary allusions -- although I must say enjoyed his "footling" reference in the Trudeau Sock Puppet piece. Pass Me My Sharia Niblic, Quick! Pass Me My Sharia Niblic ?? Is there a reason why judges like this woman can't be sacked? I don't remember anything like this in P.G. Wodehouse's golf stories. "Sharia niblick" sounds like the Oldest Member's weapon of choice during his time in the Sudan. But that was another era, when being born British was to win the lottery of life. Now it seems to be like the losing ticket in the apology sweepstakes. Only 20 years ago, Trudeau's predecessor talked about "da Canadian values." Of course he meant the usual drivel about healthcare and dole-for-life, but at least he didn't treat the phrase as an oxymoron. Dead on target, Mark - still impressive, even if you weren't 3,450 metres away. A couple of nights back, I watched the Munk debate you revisited in your post today, and I noted that one side guess which one) seemed to mistake the symbol for the reality and in doing so manage to get cause and effect totally arse about. As you quite rightly pointed out, citizenship is all about holding the values of, and having allegiance / loyalty to your country (and culture). In a sane world, being able to wave a passport (or naturalization certificate) around would be a symbol of this, and presumptive proof that the person waving said passport also held the values and allegiance. M. Arbour in particular seems to believe that the process works in the other direction - that granting citizenship will imbue the grantee with the cultural values of and allegiance to the country. One of the finest examples of magical thinking that I have ever seen. 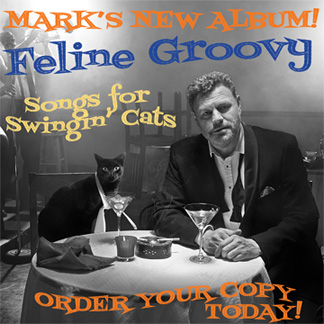 Fantastic essay as usual, Mark. When does the survival instinct kick in in the West? I've always believed in civilization over animal nature but now think that perhaps only the animal nature can save us. Or does the survival instinct differ by country? Sweden seems low on the list, the US higher. When it comes to Canadian citizenship, ayatollah Trudeau believes in the very unIslamic concept of "eternal security" -- once you're in, you're in. But, since she wants to renounce, it's actually more like, once you're in, you can't get out. It's beginning to have a lobster-trappish feel to it. Trudeau might want to check out the views of Trappish monks (symbol lobster trap) on this issue.